There are over 350 boys’ and girls’ youth soccer teams and over 50 first division & professional soccer teams in Costa Rica. When matching your team to Costa Rican opposition, we take into consideration your team’s age, competitive level, recent league and tournament performance, and other factors. What other soccer teams have traveled with your company? We have hosted over 200 boys’ and girls’ soccer teams of every age and competitive playing level since 1995. The majority of our clients are college teams, high school teams, club teams, ODP state and regional teams, and amateur adult teams. Click to see what our clients have to say about us. 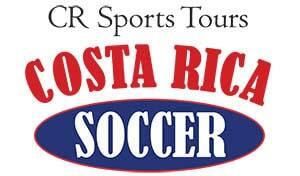 You can request a custom proposal and tour pricing for your team by contacting Costa Rica Soccer Tours. Step 1: Request a soccer tour proposal for your team online. Step 4: Communicate the payment plan to your team and start preparing for the best international soccer tour experience ever! Yes, we are happy to include parents and family members on the trip. They have joined our tours in the past and have been excellent additions to the group. The additional adults make helpful chaperones when there are lots of underage players. We can include them in any and all of the team activities. The tour price for parents and family members is the same as for players (children are less, see below). 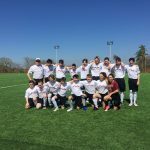 However, we understand that, depending upon the objective of the trip, the coach or team administrator may not feel that it is appropriate for families to travel with the team so we leave this decision up to whoever is organizing the soccer tour. 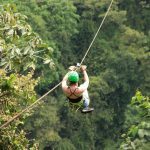 Can Costa Rica Soccer Tours handle my air travel arrangements? Our most popular tour is nine days and includes a chance to experience the capital city, the rainforest, the volcano area, and the beaches (see sample itinerary). We customize the tour according to your team’s preferences. We can recommend more areas to visit depending on the length of your team’s soccer tour and the number of games that you would like to play. Costa Rica is famous for its warm, temperate climate most of the year. Costa Rican soccer teams also play soccer all year long making it possible to organize a tour during any dates that are good for your team. Spring Break and preseason (July/ August) are some of the most popular times to take a soccer tour. Our tours include the cost for doing laundry for shirts, shorts, and socks used during all trainings and matches. Your full-time tour guide will collect the uniforms or clothes after each training and soccer match and will be responsible for getting them back to you as soon as possible. We recommend bringing at least two sets of uniforms just in case the first one cannot be washed in time for your team’s next match. If you would like to wash personal laundry, you can use the hotel’s in-house laundry service. Some hotels have washing and drying machines available.